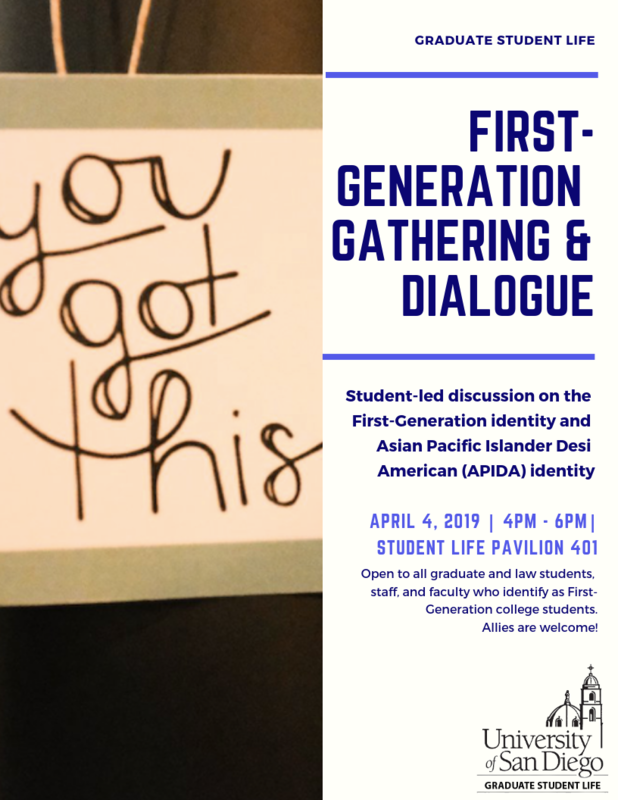 Thursday, April 4, 2019 from 4:00 p.m. to 6:00 p.m.
Student-led discussion on the First-Generation Identity and Asian Pacific Islander Desi American (APIDA) identity. This dialogue series is open to all graduate students, faculty, and staff who identify as First-Generation college students or the first in their family to attend graduate school. Allies interested in learning more about this identity are welcome! Light food will be provided.